“Farmers can earn minimum Rs. 2+ lakh/acre/annum that is now limited to less than Rs. 50 thousand/acre! It shall be possible when production cost is less, processing is done in-house, quality is superior and farm products are sold directly to end consumers or truthful retailers. It is a practical model that might sound time and capital intensive but it is not so! The farmers need to believe in themselves and in the power of organic farming rest we are here to help them in all ways because we also are farmers and understand fellow farmers well. Together we farmers shall revive agriculture in our country as sustainable and profitable,” highlights Mr. Nitin Kumar Kajla, President, SAKET. 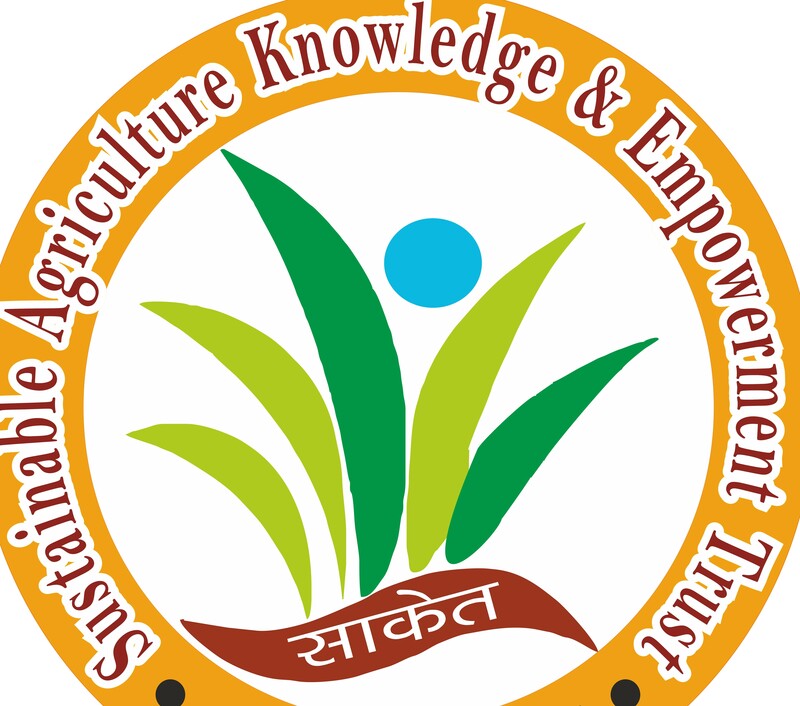 SAKET stands for Sustainable Agriculture Knowledge and Empowerment Trust. It a New Delhi based organization that provides knowledge transfer of different techniques to boost the farm production strictly keeping it organic. In addition, farmers are provided assistance to sell their farm produces at the appropriate price and buy farm resources such as pure desi seeds, local desi cows etc. 4000 organic farmers are actively associated with the organization. It has the credit to have trained more than 3000 people on organic farming through online platform and out of them close to 900 farmers are doing 100% organic farming and rest are in the conversion process. Mr. Ashok Kumar, who left his lucrative job in USA to empower and enrich organic farmers in India after getting inspired by one of Mr. Rajiv Dixit’s talk, laid down the foundation of SAKET. On his return, he found many farmers, social activists and youth in our country are doing remarkable work in chemical-free farming, innovating low-cost farm equipment but all were working at individual level with a common goal, to develop agriculture industry in India. To bring all like-minded people together on a common platform he started a facebook page ‘Javik Kheti’ in 2014. Soon the followers on the page increased by many folds. To facilitate communication, the members exchanged the contact numbers and formed WhatsApp group with an aim to help one another in increasing the farm production using different formulations of local farm available resources and assist in selling their organic produce. 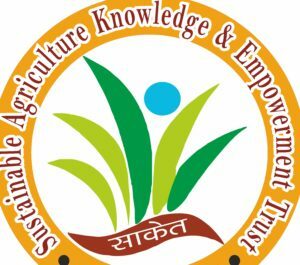 Next, to give the group physical visibility and to connect with farmers in remotest part of the country it was formally registered as Sustainable Agriculture Knowledge and Empowerment Trust (SAKET) on 21st Dec 2015. There are 18 trustee and 50 members actively on the fields representing SAKET at national level. Organic farming updates on facebook page and knowledge share through WhatsApp group still continues. As of date the facebook page has more than 3 lakh followers interested in organic farming. On WhatsApp the groups are formed as per the state. “We are now inviting people to take training on organic farming cultivation beginning from the basics. To be part of SAKET, new farmers are informed about the rules and regulations and registered based on their profile (name, district and state). Apart from these requisites, there is no monetary transactions such as joining fees or monthly fee etc. Even if farmers are able to sell their farm produces through any reference of the organization there is no commission paid! So far, trustees and members working on field have made all the expenses. Never a single penny has been collected from the farmers,” informs Mr. Kajla. Along with online training sessions,SAKET also conducts practical workshops in the villages as and when arranged. “We could train farmers online but considering many farmers still do not have access to technological gadgets so we decided to train them in their village of course the initiative to arrange the training is being taken by one the members/farmers belonging to our organization from that village or district. We usually have the module that is completed in 3 days,” he states. Markets are flooded with numerous chemical based products that are not only poisonous for soil and food but escalate the input cost while the output is negligible. “We at SAKET are focused most on reducing the input cost thus have innovated and discovered different formulas to resolve various problems in farming be it soil replenishment, seed treatment, pest infestation, low productivity or disease attack etc., using the ingredients that are easily available within the farm premises or neighboring areas. This knowledge-share is available to all our farmers free of cost because our aim is not to make ourselves cash rich but empower the farmers. Overpriced products even though it might be organic are always discouraged by SAKET because we want farmers to earn more and spend less,” he affirms. SAKET leaves no stone unturned to help farmers increase their farm production. Next crucial area of attention is marketing. If farmer works at individual level then returns shall be minimum thus to maximize the profits farmers must be united and have to work collectively, “Therefore, our immediate plan is to start a producer company that shall be formed with support of NABARD. Farmers will be shareholders of the company. This producer company at the deserved support price with an immediate payment shall buy agricultural products from the farmers. Next, the produce shall be processed and sold in the market. After deducting all the expenses, a percentage of profits earned would be given to the shareholder-farmers as dividend. The company shall function independent of any Government intervention as we strongly believe farmers can support and take care of them and are never dependent on anyone!” Mr. Kajla reveals. All the legal formalities and document submission has been done. SAKET is progressing towards forming the producer company with the capital investment of Rs. 50 lakh. “Our network is closely and strongly bonded that is beyond the monetary expectations and exchanges. We all are always ready to help one another in best possible way. We at SAKET have not earned money but have earned loyal relationships for life,” he concludes. 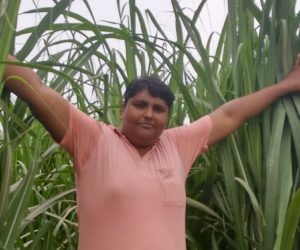 Previous PostPrevious Nitin Kumar Kajla – progressive farmer Meerut, Uttar Pradesh.